UKLC are excited to announce our 2019 options for junior students (8-17 years old) & a *new* summer location! UKLC are committed to delivering high quality language programmes for junior students aged 8-17 years. Summer 2018 was our biggest summer ever. Even though the number of students enjoying our courses increased, the quality of our courses remained the same. UKLC continue to develop and create new ways in which to improve our offering some of which are detailed below. 10 Residential Summer Centres in Fantastic Locations! We are delighted to present a stunning new summer centre for 2019 at Bristol, Badminton School. Student Focused Academic Programme – 3 x 1 hour clear and structured English lessons. Focusing on Task Based Learning, Skills & Systems & CLIL British Culture. Elective ‘English Plus’ activities – all centres have multiple English Plus programmes available for no extra cost. Programmes can include – English plus Multi Activity, Dance, Drama, Football, Intensive English and Life skills. 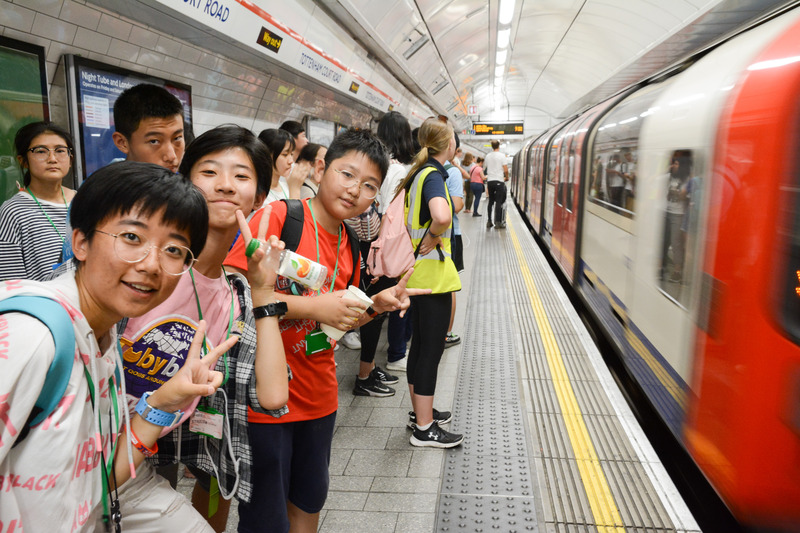 Three cultural excursions a week at all centres – Students will experience being part of the British Language and way of life whilst visiting fantastic places! Now accepting individual students at three locations – in addition to our York, Bootham School & Reading, Queen Anne’s School we will now be accepting individual students at our brand new boarding school Bristol, Badminton School. Parent and Child Programme – for younger students aged 5+ to travel with their parents for both to learn English in a fun and exciting environment! For more information on all of our programmes & centres for 2019, download our eBrochure here or contact [email protected] for NET prices.